JDC - Archives : Jewish refugee boys taking bread from a tray in the dining hall. 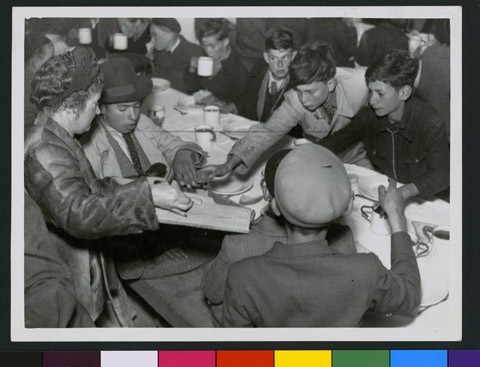 Title Jewish refugee boys taking bread from a tray in the dining hall. Description Jewish refugee boys rescued from French internment camps, taking peices of bread from a tray in the dining hall. This is probably a collaboration with the American Friends Service Committee.